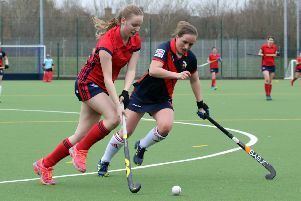 Three points went begging in Banbury’s fight to avoid relegation in the South Clubs Women’s Hockey League. 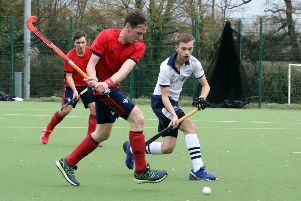 Banbury faced an important game in their relegation battle on Saturday when they took on bottom half of the table Eastcote but could only draw the division three fixture 1-1. Banbury absorbed early pressure through competent defending from Kristina Bull and Ali Sturla. Eastcote came out strong in the second half, taking the lead trough Claire Devereux. But Banbury kept their heads, began to pile the pressure on and were rewarded on the hour mark with a goal from Ruth Tuthill. The final ten minutes of the game saw neither team able to break the deadlock with a draw proving to be a fair result. Banbury will look to get maximum points from their final two games in order to secure their place for next season. They remain two adrift of Buckingham ahead of Saturday’s trip to their relegation rivals before they round off against Wycombe the following weekend.